Battery life has always been a problem for all mobile users. Android O tries to limit battery consumption by applications running in the background. For example – Android O will feed the user’s last known location to a background app instead of activating the GPS collect a fresh location. 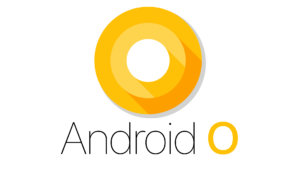 Google has also done a number of essential under-the-hood improvements in Android O. Most notable among them is the improved boot-up time. Android O runs very smooth and fast despite being beta software. Notifications are also getting more refined and curated. New app badging similar to the iPhone. These notification dots automatically color-match with the app icon. The principal small change (pun-intended) in Android O is the inclusion of picture-in-picture functionality which allows YouTube Red subscribers and Google Duo users to minimize a video to a small window and keep using their phone as usual. The best approach that the Google could have taken was enhancing the user experience without being visible or obvious. Android O has done just that. It is littered with little changes and improvements. Our conclusion so far is that the Android O is going to follow in Nougat’s footsteps. It is being poised to complete some of the work started in Nougat and further strengthens the control in Android. Previous PostPrevious Is your Outsourced Mobile App Development Project Profitable?